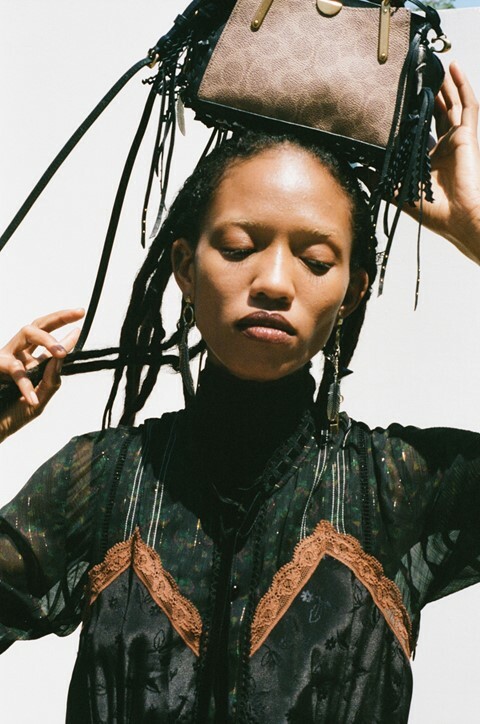 Open any magazine or survey the runway shots from any major fashion show, and it’s highly likely it won’t be too long until you stumble across Adesuwa Aighewi, the striking Chinese-Nigerian model with glowing, clean skin and dreadlocked hair. She has the kind of face that makes you stop in your tracks – and, chances are, if you follow her on social media, a voice that you’ll want to stop and listen to, too. Aighewi was born in Minnesota and grew up in Benin City, the capital of Nigeria’s Edo State, but enjoyed a peripatetic upbringing, courtesy of her Chinese mother and Nigerian father’s jobs as environmental scientists. Discovered on campus while undertaking a chemistry degree at Prince George’s County, Maryland, she put modelling on hold in order to finish her studies, before eventually decamping to Los Angeles to focus on her burgeoning career in fashion. In an industry built upon unattainable beauty standards, Aighewi is carrying that weight well. Doing things on her own terms, she refuses to compromise herself for her job, and last year decided to dreadlock her hair against the advice of her agency. Warned that some brands may find it too extreme, and that hairdressers may not be experienced in working with it, the model did it anyway. 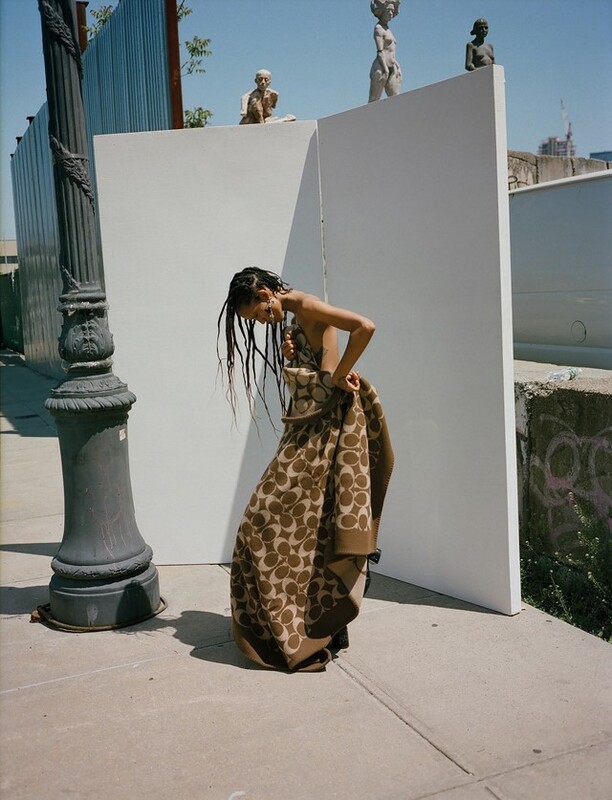 Not only was she booked to open Coach’s 2018 Cruise show, she also walked for the likes of Dior, Gucci, and Chanel over the course of the last year as well as securing a spot on the Dazed 100, with the acceptance – and embracement – of her hair signalling a wider cultural shift towards greater diversity on the fashion landscape. For the current generation of fashion models, social media has become as much a part of their job as photo shoots or catwalk shows. Many of them now even have their social following listed on their modelling cards. While many have spoken out about how it can limit their success, others have championed it as a way to share stories and call out inappropriate behaviour. Aighewi is positive about social media, pointing out that it gives models a voice and a platform – and autonomy as a result. 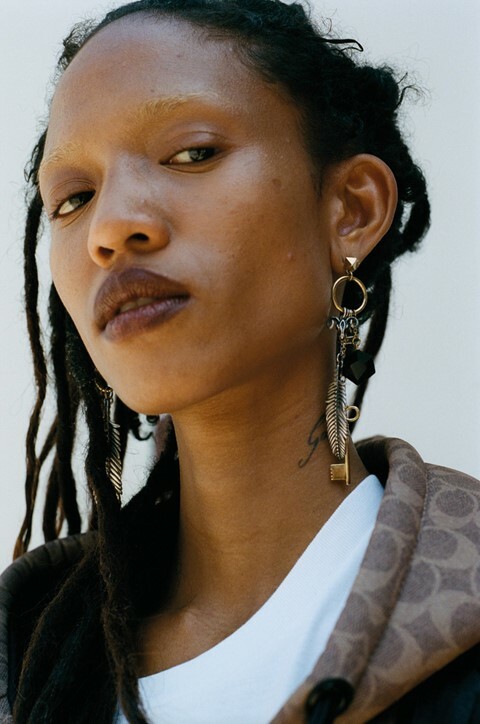 It’s this attitude that has been crucial to her success, which has come at a time when diversity and identity politics are taking centre stage on the fashion stage and beyond. Aighewi’s inimitable presence on the catwalk demonstrates that perhaps the industry is finally ready to move away from the Western ideals of beauty that currently dominate towards something more inclusive altogether. Something that’s hugely important to Aighewi is using her increasingly high profile to “change negative narratives of my people and those like me, and to collaborate with like-minded people to instigate change,” and recently outlined plans for a series in which she travelled across Africa in a bid to alter perceptions of the country. “In today’s day and age, the fastest way to affect change is through media,” she adds.